Borrowing technology from the medical world, a company rethinks the classic espresso machine. The espresso machine hasn't changed much since 1961," says Jesse Kahn, who develops training centers for Counter Culture Coffee. 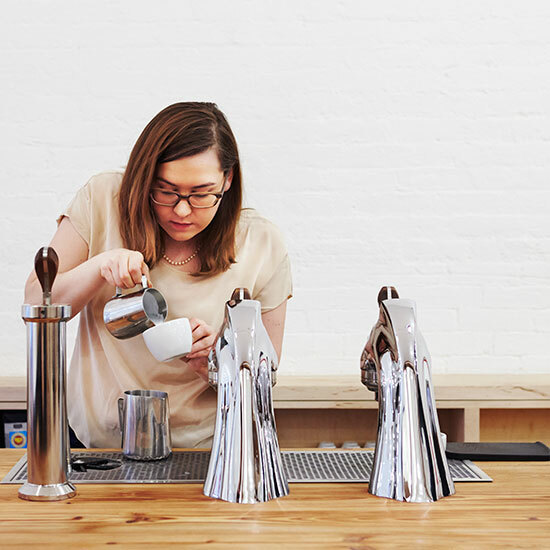 He's standing behind the bar at the company's newest outpost, in Manhattan, where pros and serious amateurs can study the art of brewing (classes start at $75; counterculturecoffee.com). In front of Kahn, graceful silver handles arch over a countertop like a futuristic soda fountain; below are computer-controlled magnetic pumps, the same kind that pump blood during dialysis. These machines give baristas exceptional control over the water's temperature and pressure as it's pushed through the grounds. Counter Culture is one of the first adopters of this technology, made by a company called Modbar, but cafés across the country are installing it. "After this, it's hard to go back to that big-box countertop machine," Kahn says. Did You Know? The average pressure generated by espresso machines is about the same as being 300 feet underwater.